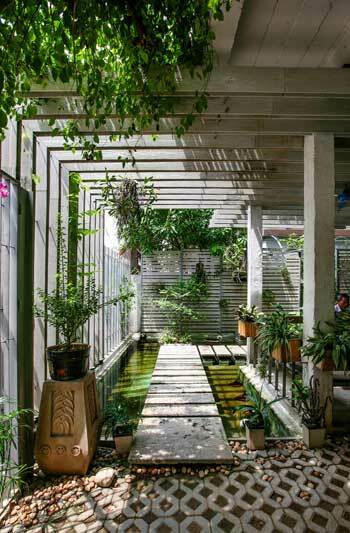 Mein Garten, a landscape architecture and horticultural design firm based in Hanoi, Vietnam, decided to create a new headquarters to showcase its work. 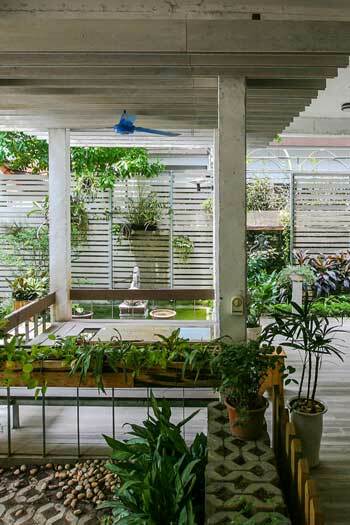 With local architects at Studio 102, they created a green haven that merges architecture and nature, creating a free-flow between indoor and outdoor environments. Mein Garten wanted to create an office as open to nature as possible, not only to boost employee health but also their creativity. The offices rely on natural ventilation and lighting most of the time. The architects took out some walls, creating open spaces that bring fresh air and light into the work spaces. 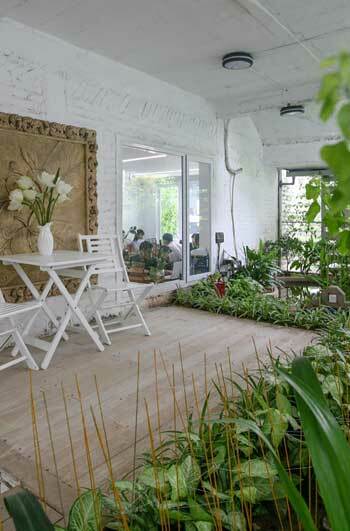 These open spaces were then filled with plants. Mein Garten writes: “There is no boundary between the inside and the outside. Plants are everywhere: in the garden, in the semi-open space, on the ground floor, first floor, on the roof, the walls.” The effect is reminiscent of Indian modern architect B.V. Doshi’s “vernacular architecture,” as seen at his Indian Institute of Management Bangalore campus. 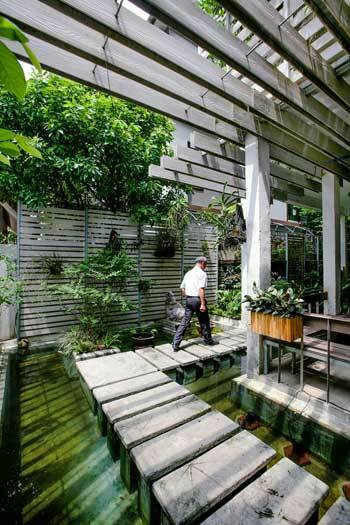 As visitors enter the building, they are invited to step over a concrete pathway that appears to float in the water. A series of rafters covers the walkway, providing shade. 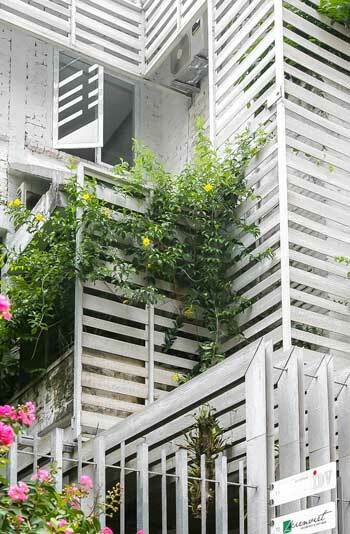 At the facing wall, there is a basic green wall structure that provides a home for potted plants. Moving into the lobby, there’s an inviting courtyard with seating and views of the showroom. In the back, at the employee entrance, plants are allowed to climb up the rafters, so employees on the upper floors looking out their windows also get a green view. See more photos at ArchDaily. Also, check out Fast Company‘s 2015 Innovation by Design awards.